The Alinghi sailing team travels to Porto Cervo in Sardinia this week to compete in the Maxi Yacht Rolex Cup, said to be the largest and certainly most spectacular annual gathering of Maxi Yachts. The team will part ways each day with some crew racing in the Mini Maxi class on the Vrolijk 66 Numbers, this time helmed by Ernesto Bertarelli in Dan Meyer’s absence and others racing on Neville Crichton’s 100ft super-maxi Alfa Romeo. 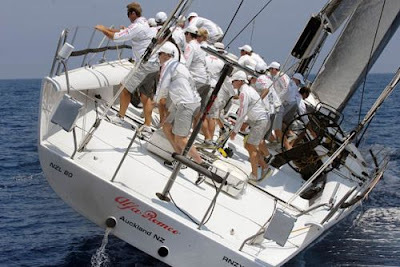 Alfa Romeo is a two-time winner of this event (2003 and 2006) and there is hope onboard of continuing a season’s run of success which includes winning the Maxi Division at Rolex Capri Sailing Week, breaking the previous Alfa course record in the 243-mile offshore Giraglia Rolex Cup and sweeping the board at the YCCS-organised Boat International Superyacht Regatta where he won all three races on both real and corrected time. In the Mini Maxi division, Numbers will take on another Alfa Romeo, launched in August and out for its first-ever regatta. 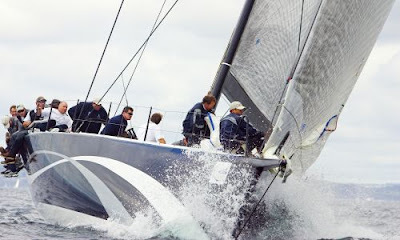 Racing is scheduled to take place over five days, starting Tuesday, with courses set through the islands of the La Maddalena archipelago off Sardinia’s rugged north-eastern coast.